I absolutely loved the first book in this series, Ghost Gifts, because of Ms. Spinella's ability to seamlessly blend mundane with the extraordinary. Now she is back with the same ease in FORETOLD. This book is set twelve years from where Ghost Gifts left off when life has gotten complicated for Audrey. Her son Pete is starting to experience some of her gifts which in turn has caused issues between Audrey and her partner Levi. Having her first love, Zeke suddenly show up isn't helping matters either. 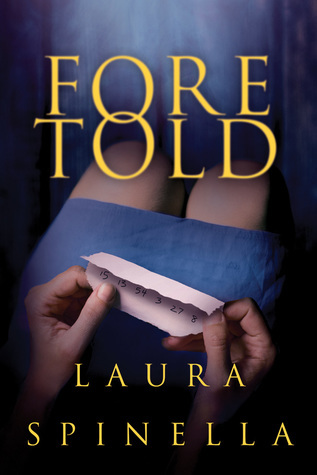 I really enjoyed FORETOLD. It was wonderful to be able to see how Audrey has grown and matured. Again there is that seamless blend of the mundane and the paranormal which will even have the reader questioning what is real and what is not. I also enjoyed watching Levi and his reactions to Audrey and Pete's gifts. FORETOLD will definitely keep the reader on their toes as there are several sudden left turns that come out of nowhere. Even if you think that you know what is going on, think again. This all leads to a satisfying conclusion that will have the reader waiting impatiently for the next book. I think that any of my readers who enjoy the paranormal or mysteries will love this book.